McCain's 'Celeb' Attack on Obama: Fair or Unfair? 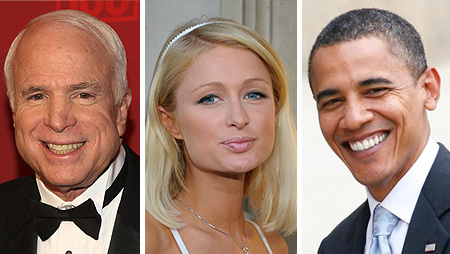 John McCain recently released an advertisement that compared fellow contender Barack Obama to Paris Hilton and Britney Spears. Tell "Extra" -- do you think that McCain's comparison is fair?